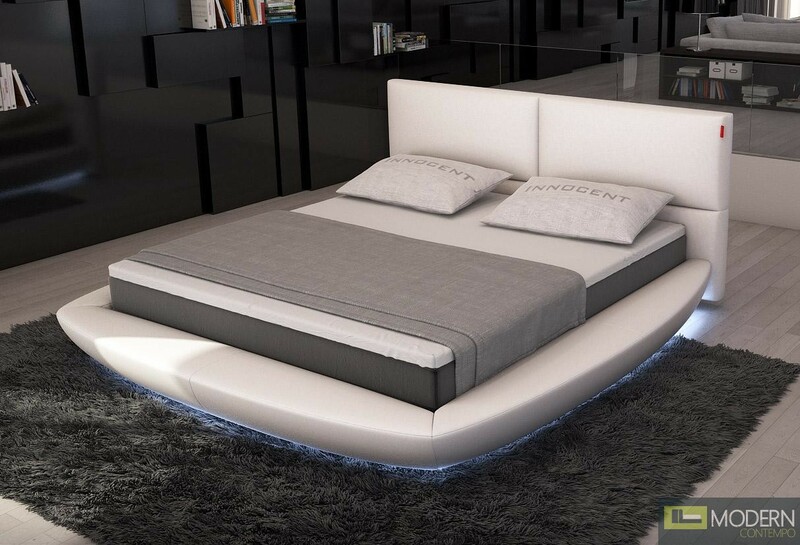 This modern round bed features LED Lighting around the base of the bed, adding a pleasant ambience to your sleeping space. It features a padded headboard that adds extra comfort. Its soft curvy design makes this bed just as pleasing to the eye as it is a pleasure to sleep in. It comes upholstered in Eco-Leather. Queen Bed: W87" x D96" x H38"
Eastern King: W102" x D96" x H38"